How do I add another phone number to receive notifications? Get updated with the upcoming #OhmHours on more than one phone. Simply, connect another cell phone on your Account page. 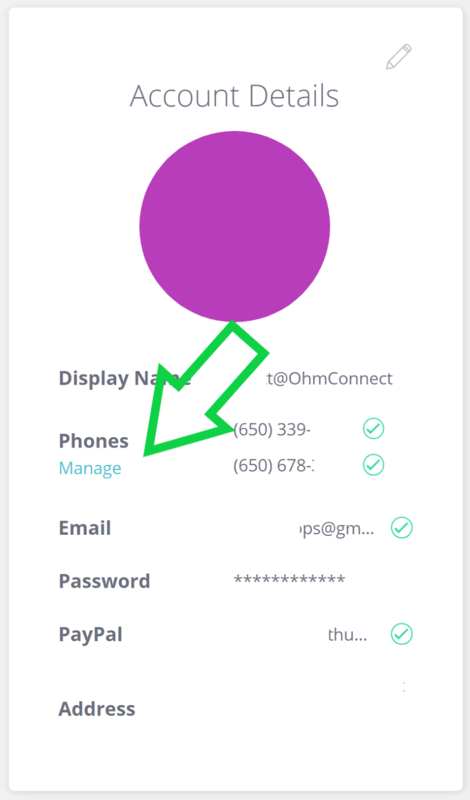 OhmConnect will send text notifications to your phone to inform you of upcoming #OhmHours. If you'd like to receive notifications on more than one phone, You can connect another cell phone on your Account page. In the Account Details section, under "Phones", click "Manage". 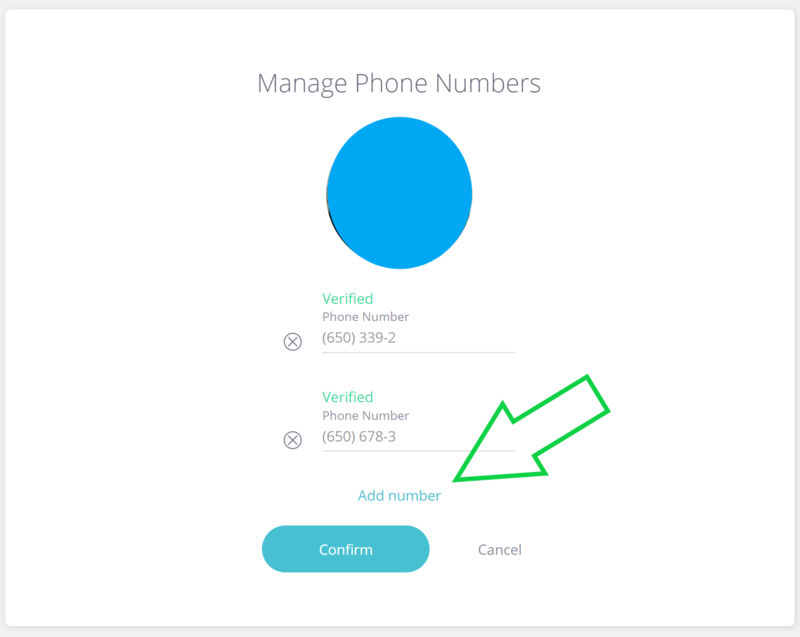 On the next page, you can click "Add number" to add another phone number to our account.